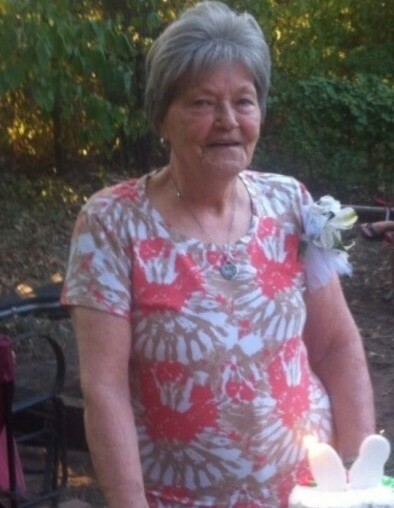 Vera Mae Woodlee, 85, went to be with the Lord on August 31, 2018 in Grandview Nursing Home. She was born on August 17, 1933, the daughter of Clarence and Ollie Daniel. Vera was not only a daughter, but she was also a wife, a mother, a grandmother, and a friend. She will be remembered for many things like her baking, gardening, cooking, and her delicious biscuits. She is preceded in death by her parents, her husband Fred Woodlee Jr., her son Alan Woodlee, and numerous brothers and sisters. Those left to cherish her memory are her children, Kenneth Woodlee and his spouse Mia, Keith Woodlee and his spouse Tina, Kathy Rayborn and her spouse Greg; her siblings, William Daniel and his spouse Linda, Mildred Watson and her spouse Dubart, Jesse Dial, Inez Kerby, Sylvia Wallace, Edith Minor and her spouse Jimmy, and Patricia McClendon and her spouse Gary; her grandchildren, David, Amy, Kitty, Amber, Kaitlynn, Amanda, Jennifer, Lauren, and Chaden; she had a total of 13 great grandchildren; numerous nieces and nephew as well as friends.